The contrast between the sombre foliage and the bright flowers makes all of the dark-leafed dahlias exuberant plants. 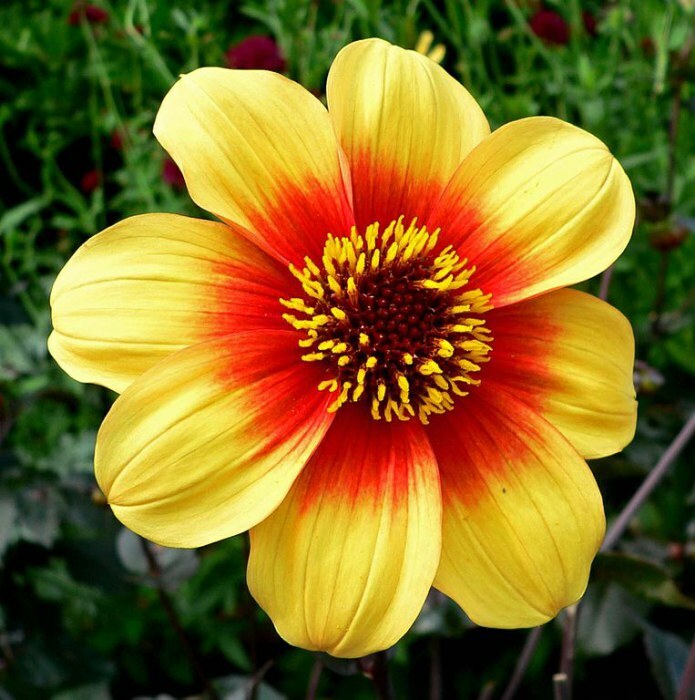 Dahlia ‘Moonfire’, with its grenadine and orange flowers,75cm tall, is particularly jovial. It was bred in Holland in 2001, leading a pack of new introductions of dark-leafed dahlias that hoped to copy the popularity of D. ‘Bishop of Llandaff’. There are now so many that there is hardly a bishopric in Britain, real or imagined, that doesn’t have a dahlia named after it. Dahlia ‘Moonfire’ is much shorter than the bishops but none of them make such a sparkling impact.